I'll be redoing my nails next week so I didn't want to do anything complicated. 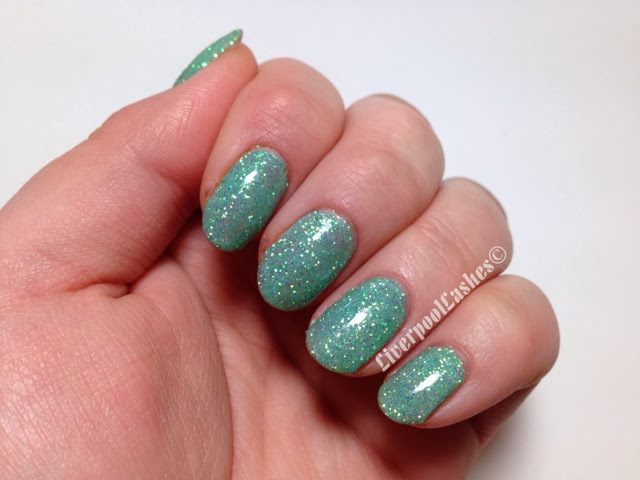 I decided to go for Shellac Mint Convertible and applied Stargazer UV Green Glitter on top. I love it!